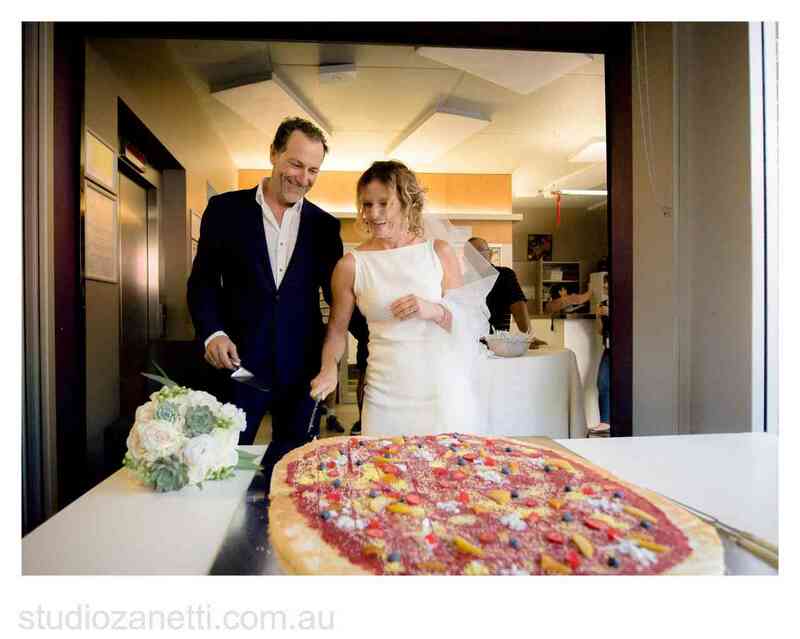 A huge cake in the shape of a pizza was made and handed out to all the guests that also included allot of guests that call the Wayside Chapel “home”, this was a very special moment of the wedding day, for Sonja and Richard’s celebration, they wanted everyone to have a piece of cake – while “That’s Amore” played in the background, “when the moon hits your eye like a big pizza pie…” lalalala ! 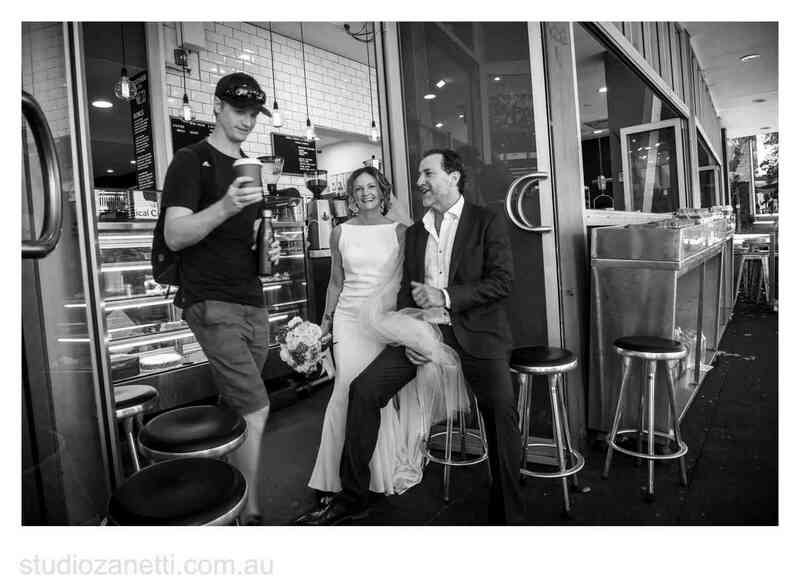 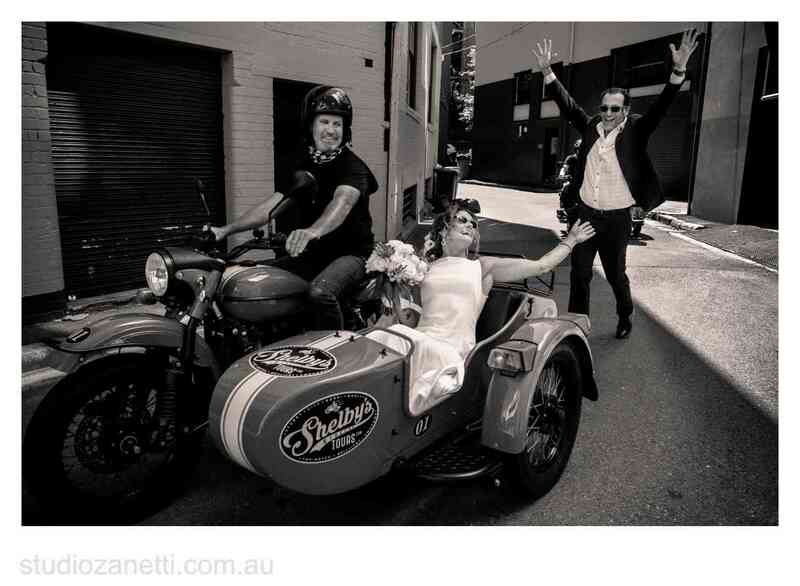 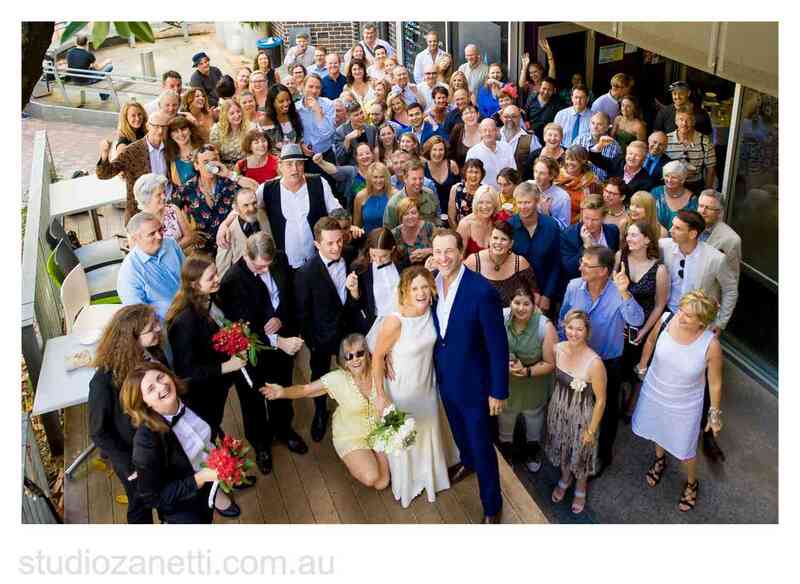 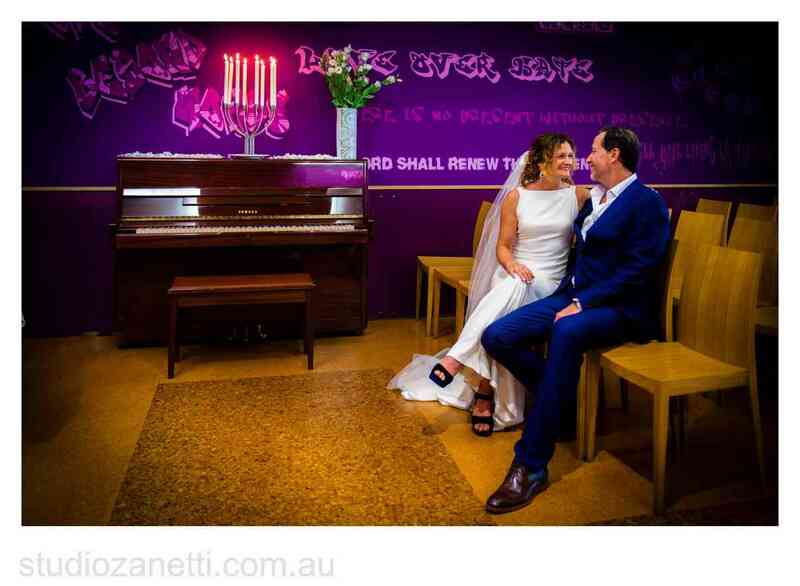 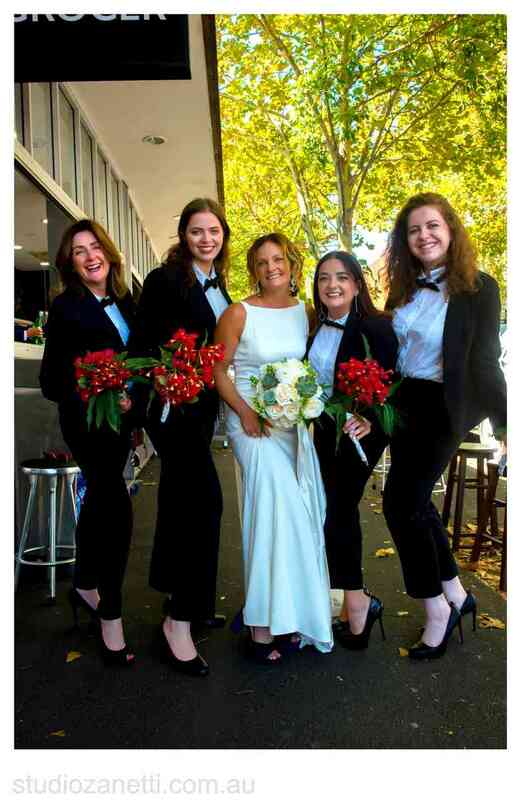 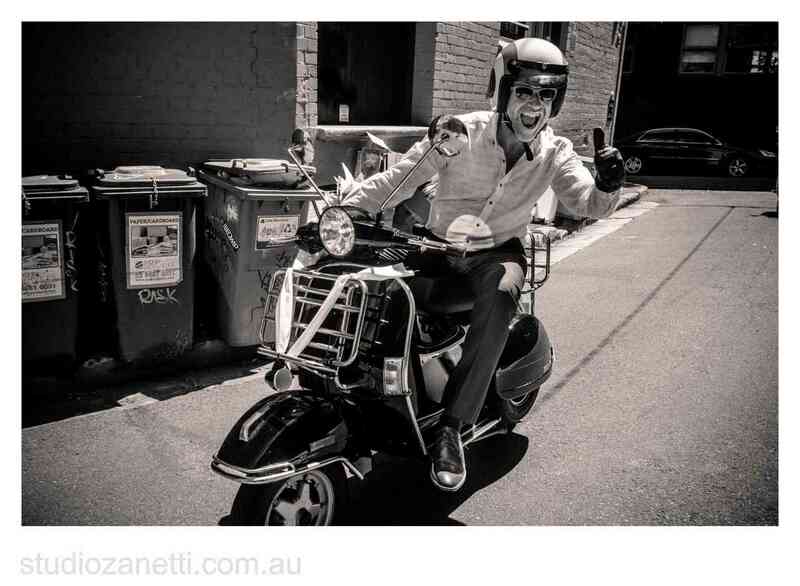 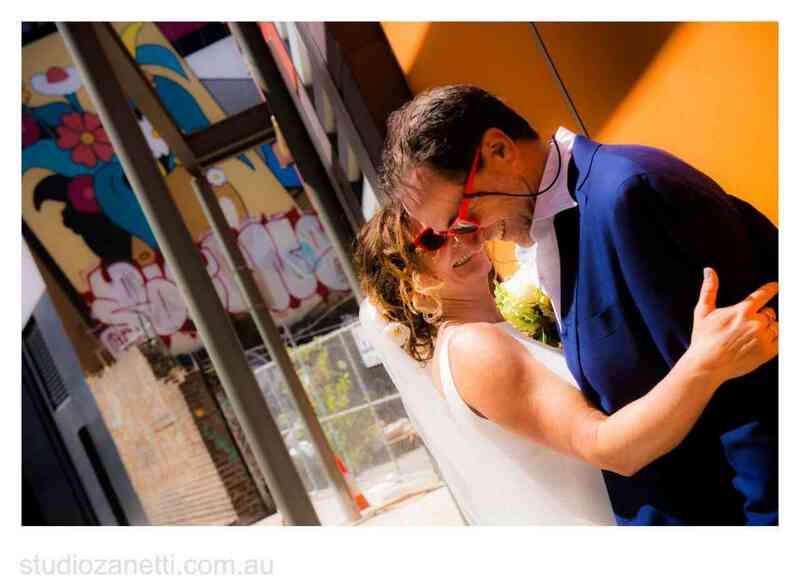 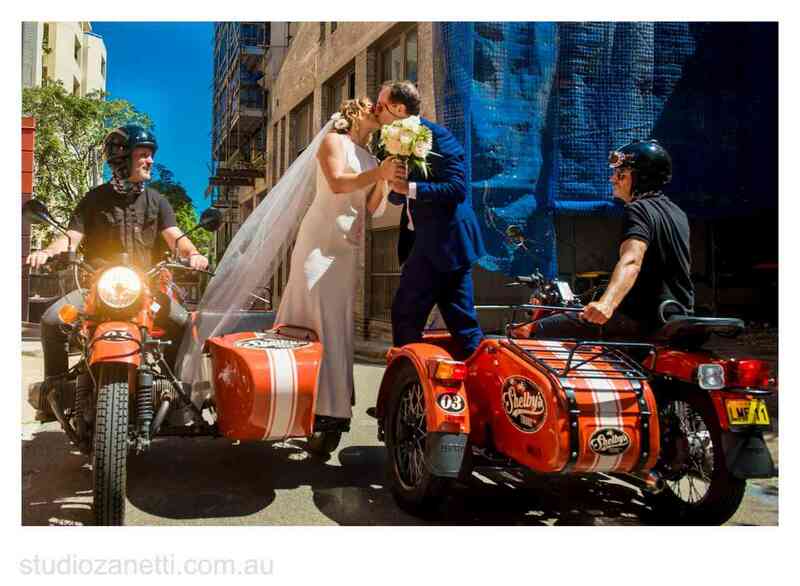 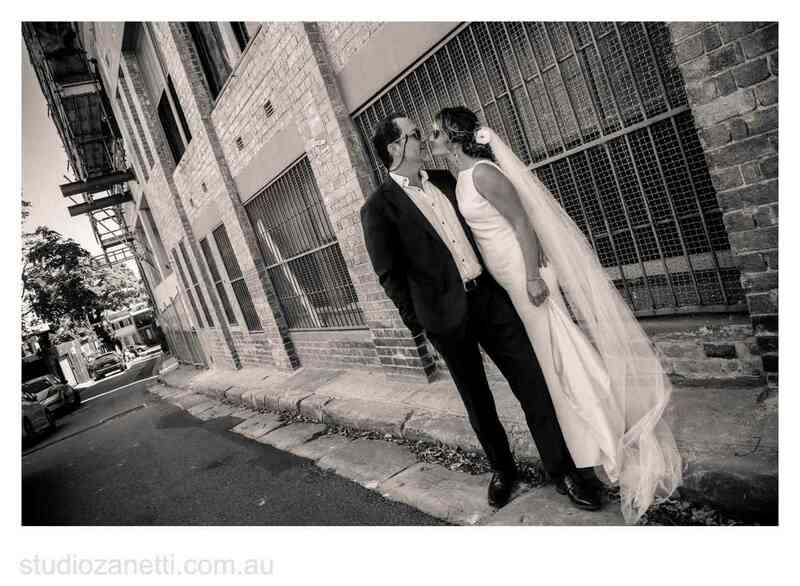 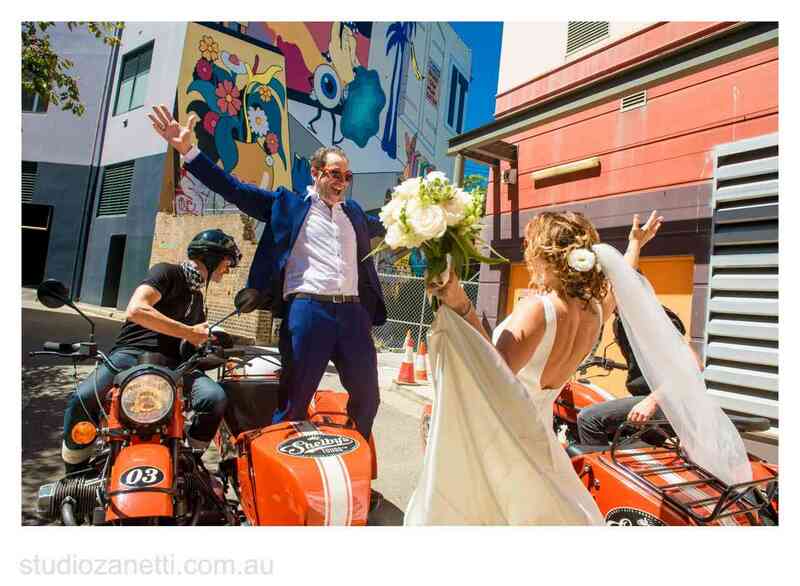 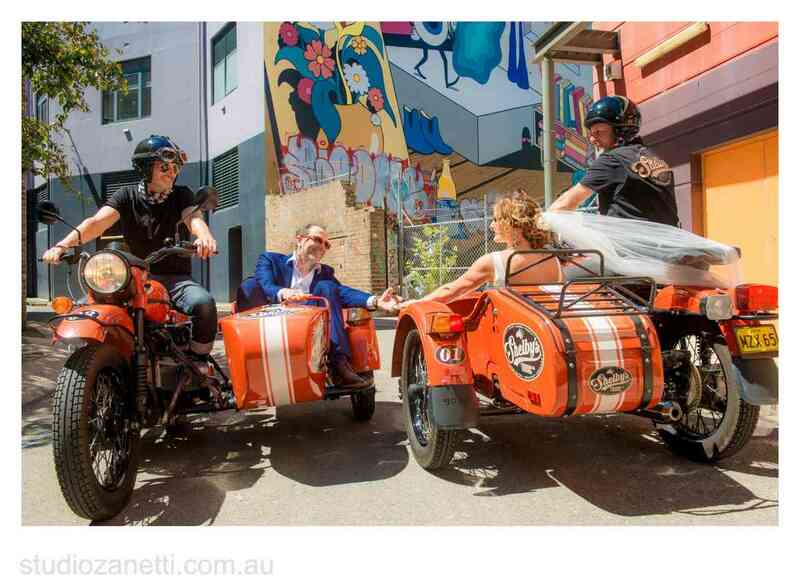 Richard and Sonja and the tuxedo wearing bridal party arrived in style in Vespas and sidecars with gave their Sydney wedding photographer Michael Zanetti plenty of photo opportunities in and around Surry Hills and Potts Point. 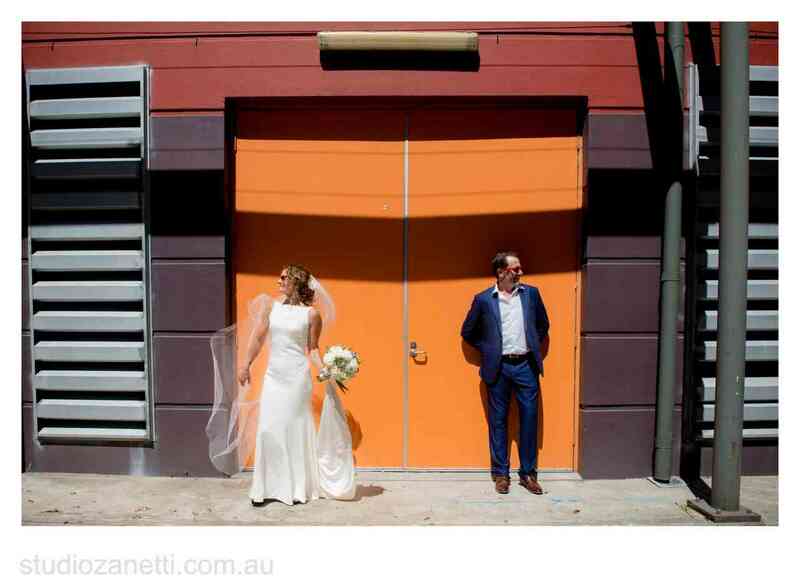 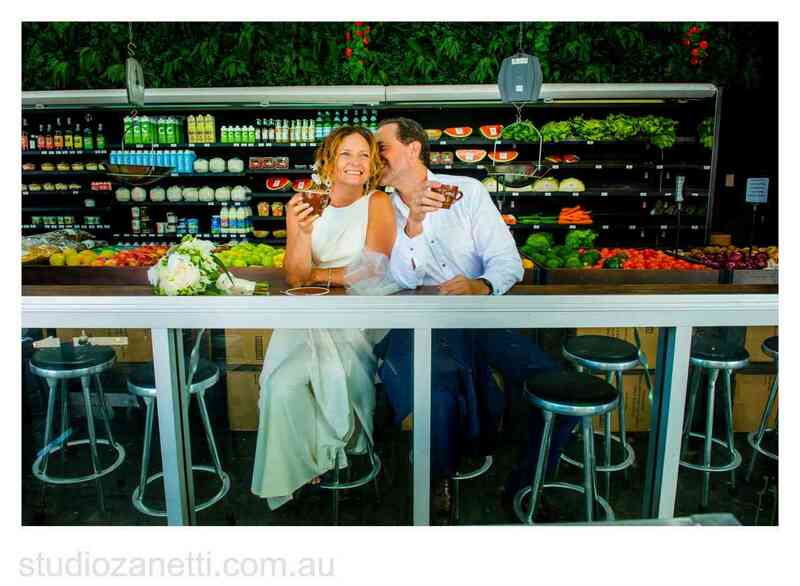 The Ethical wedding reception Party kicked off soon after the ceremony at The Freedom Hub in Waterloo, The Freedom Hub hosts ethical weddings and are the new ‘give back’ trend couples are looking for and the large warehouse adds the feel . 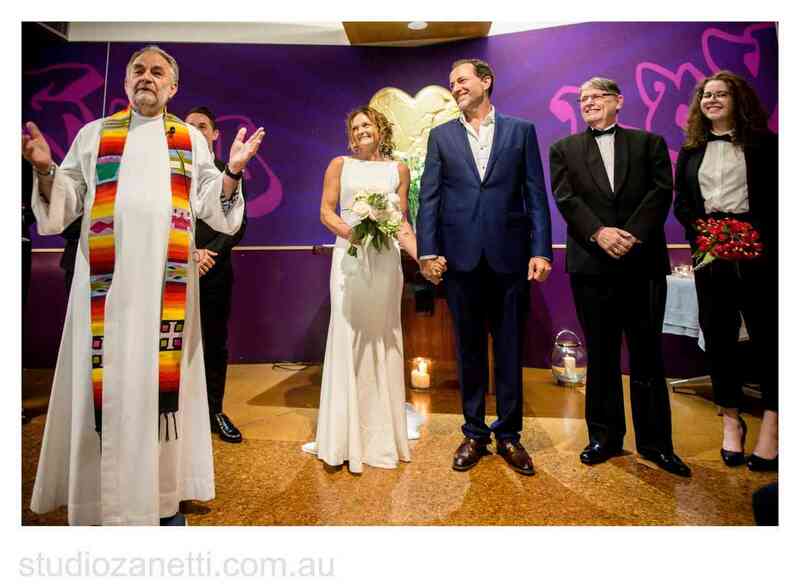 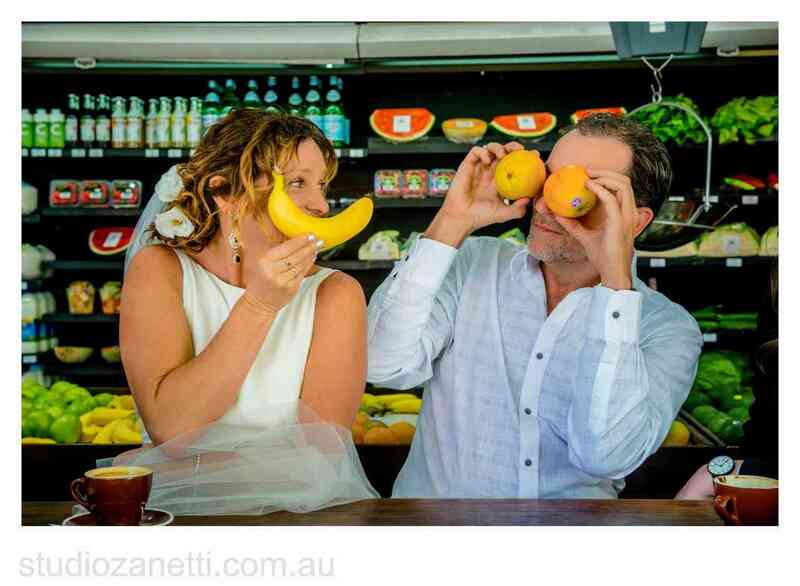 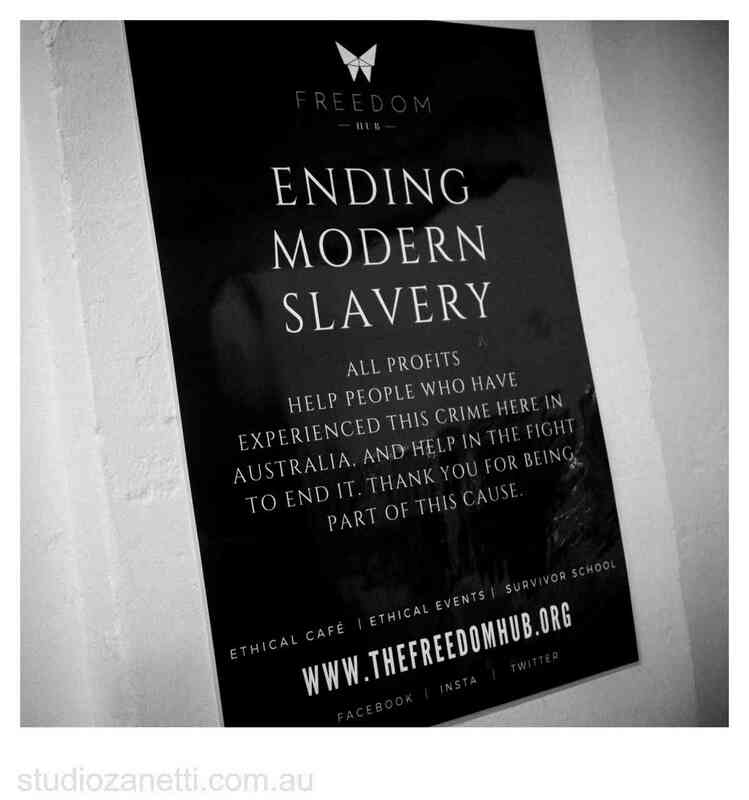 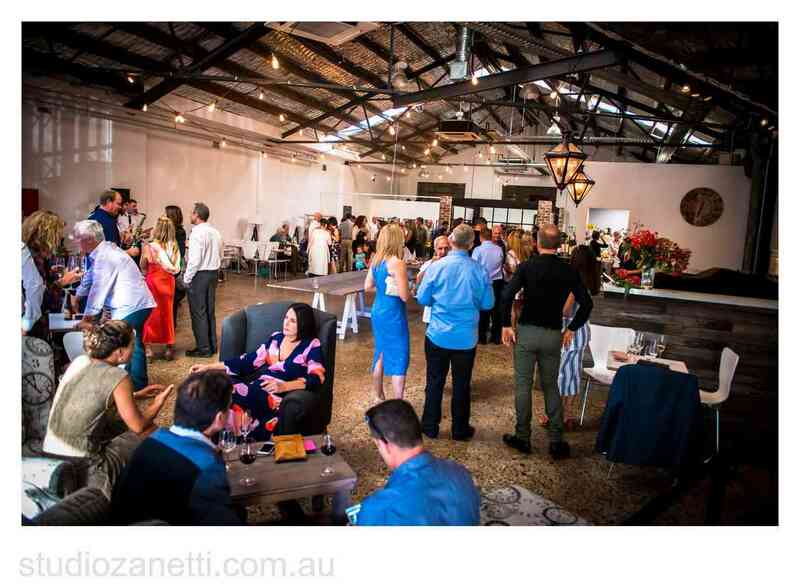 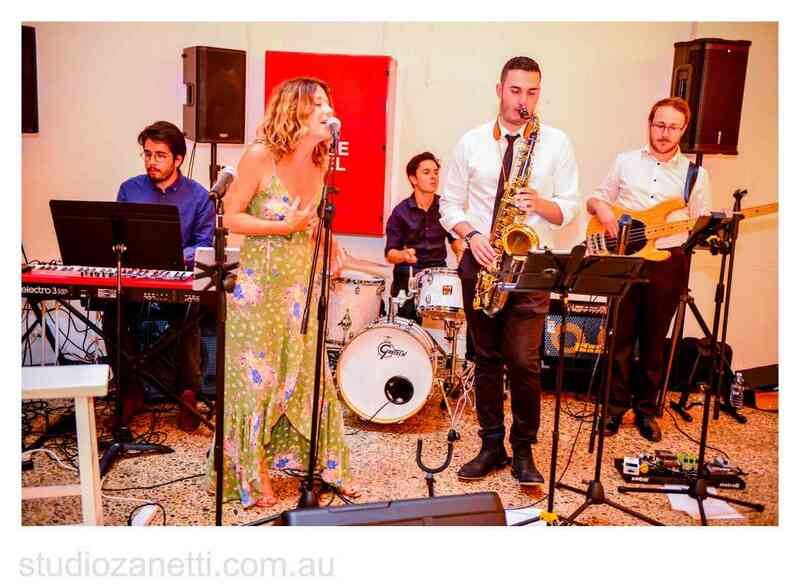 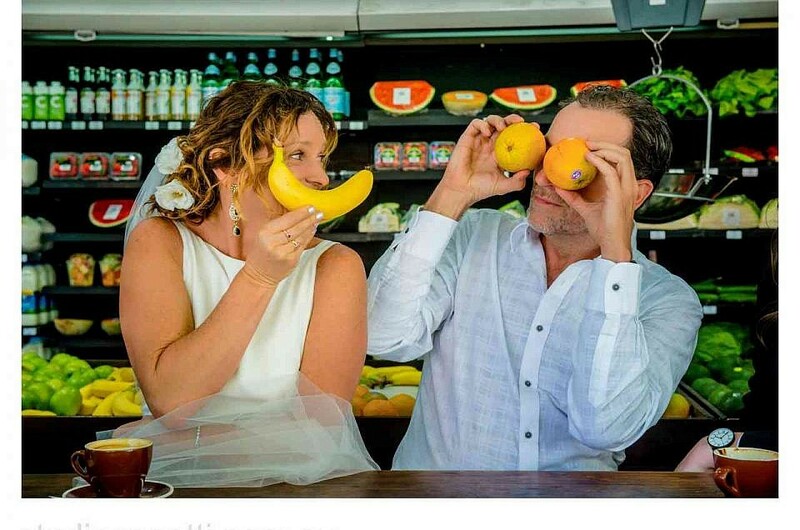 All the profits from weddings or events hosted support people who have experienced human trafficking and slavery within Australia, read whats happening here….. 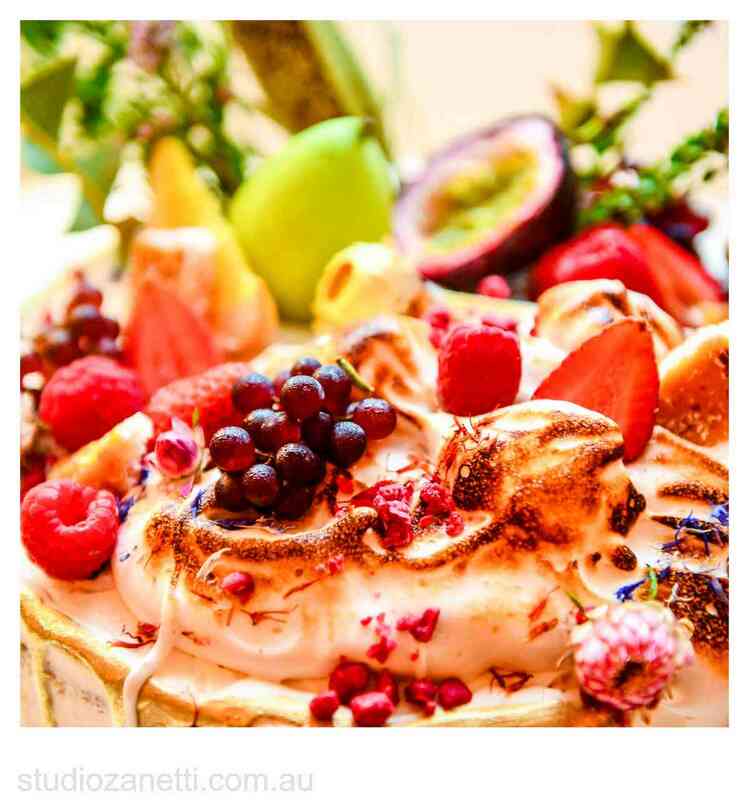 The Vegan buffet was divine and was catered by Sonja’s daughter. 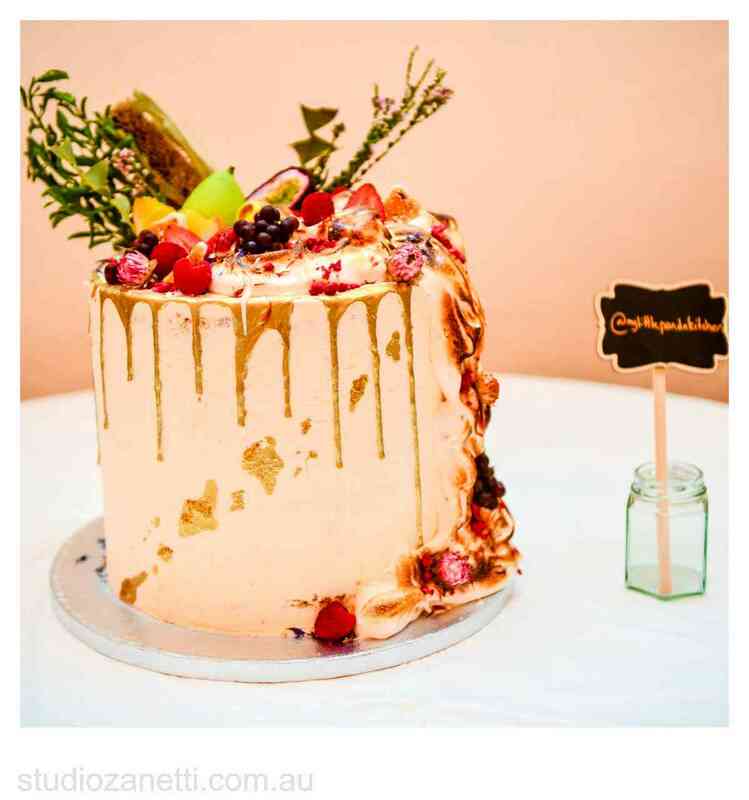 The Vegan wedding cake made by My Little Panda Kitchen which I can attest to was absolutely moreish, If I hadn’t been told it was Vegan I would have never guessed. 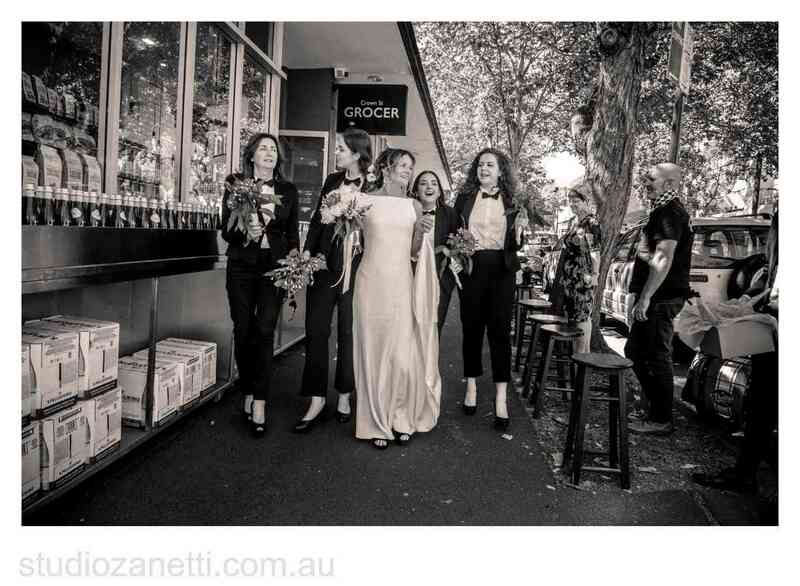 Sonja’s hair and make-up by Aleisha-Jane Beauty a very successful Surry Hills Beauty Salon.